This is my absolute favorite recipe for the Latin American delicacy! 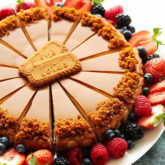 A light and airy sponge cake soaked and flavored with a delicious mixture of 3 milks, giving it a very creamy, pudding-like texture that is just irresistible. 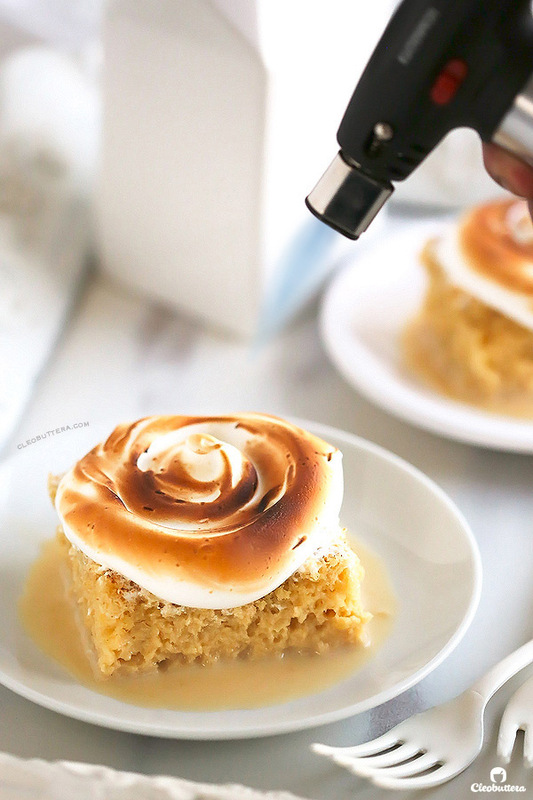 It is then crowned with a toasted marshmallow frosting that takes it to a whole other level of deliciousness. Plus…recipe VIDEO at the end of the post! This recipe has been looooooong overdue. I had every intention of sharing it back in early May with all the Cinco di Mayo vibes around the internets, but it took too long to perfect. Six weeks later, 8 different trails and a wardrobe I could no longer fit in, I could finally say that: I NAILED IT! And it’s now worthy of sharing. 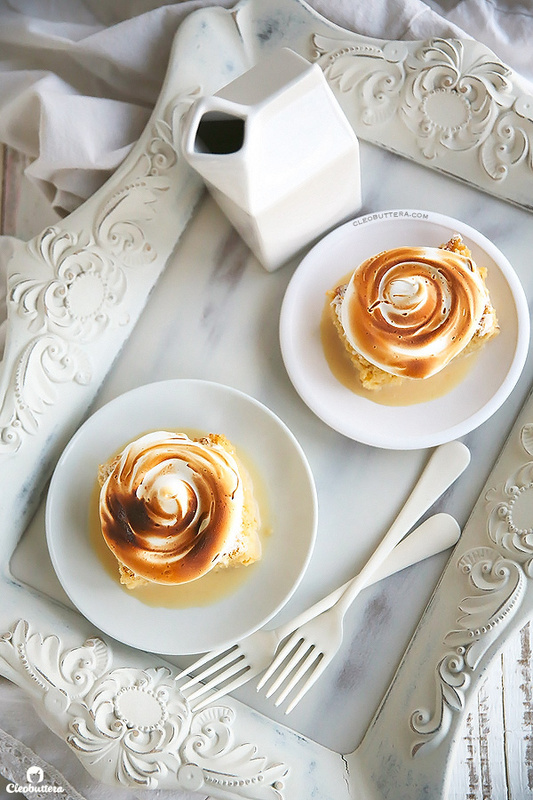 With a creamy, ethereal texture, a sweet milky sauce and a toasted marshmallow frosting, my taste testers, have deemed this, one of the best things they’ve ever tasted. If you’re not familiar, please let me acquaint you. Tres Leches (Spanish for Three Milks) Cake is just THAT. 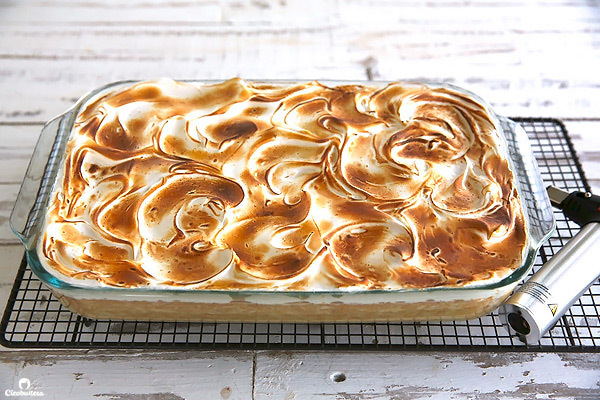 A Latin American Cake that gets drenched in a delicious trio of milks: sweetened condensed milk, evaporated milk and heavy cream, and traditionally topped with either whipped cream or meringue (marshmallow cream-like) frosting. It may not be for the lactose intolerant, nor for those who don’t like to dunk their cakes and cookies in milk, but if you’re that kind of person, you’re in for a real treat. I was actually surprised that they like it, because as far as I knew, Tres Leches cake is just this overly saturated, wet, soggy cake with whipped cream on top. I’ve actually had known about it all my baking-obsessed life, but was never really interested to make it because of textural reservations. Soggy, mushy and jiggly ain’t my things. Saucy? yes but soggy? Blech! I assured myself that it’s probably just one of those overrated hypes. Either that or their taste buds are just really messed up. I have to admit I was curious though. I needed to know what the hype was all about. So to Tabla Luna I went. We first ordered the ‘Camot Chips,’ these incredibly delicious sweet potato croquettes with a cilantro sauce; highly recommended if you ever go there. Followed by Enchiladas, which I couldn’t stop eating and ‘Steaky y Huancaina’ which happens to be some the best pieces of meat my mouth has ever encountered. Not even exaggerating. With food that good, I was starting to get some high hopes for dessert. My expectations for their Tres Leches cake rose higher, but still all I could think of is…soggy cake. To make a short story long, dessert was served, plate was polished and another Torta de Tres Leches was ordered…aaaand we were even tempted to order a third. Yup! It was that good. One bite and all my predisposed ideas on this yummy cake, went down the drain. Turns out, ‘soggy’ is the wrong word to describe it; creamy and pudding-like are more accurate. It’s still a very saturated and really moist cake, but in a good saucy kind of way. It also has the the most amazing sweetened milky flavor with hints of caramel. And that “burnt whipped cream frosting” is just torched meringue frosting aka marshmallow frosting. YUM! So…obviously, I rolled up my sleeves and went to my kitchen, aka my scientific research lab, with attempts to make one just like it. I mean recipes for Tres Leches cake is all over the internet, how hard can it be? Uhmmmm…really hard. 1) Creamy, with a texture that is a cross between a cake and bread pudding. 2) Light and tender in texture and not dense at all. 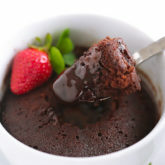 3) Has enough milk mixture that makes it melt in the mouth but not too much that its swimming in it. 4) The cake has to be sturdy enough to hold the maximum amount of milk mixture (for maximum flavor) without falling apart into crumbs. 5) It has to be sweet enough to keep one going for more, but not too sweet that one bite is all one could handle. 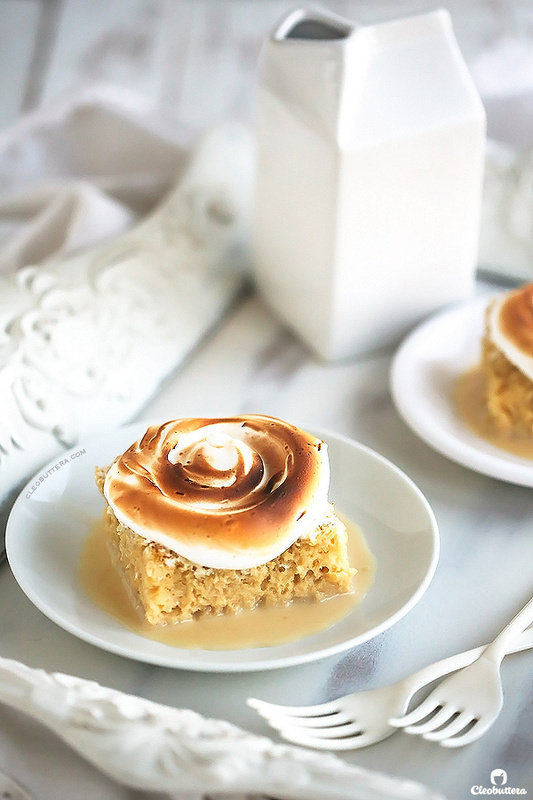 6) It has to be topped with a toasted billowy, marshmallow-y frosting. Is that too much to ask from a cake? So for the base cake, I experimented with hot milk cake, yellow cake, chiffon cake and different versions of sponge cakes like a mad woman. Non of them seemed be light enough; they were kinda too dense to soak in all the milk mixture. Then I remembered seeing several years ago a recipe for Tres Leches cake in my treasured Rose’s Heavenly Cakes book, by Rose Levy Beranbaum. Guys, this is the same lady that wrote The Cake Bible! Yes! The Cake Diva herself, known to be the most meticulous baker that ever lived. With all the testing and effort she pours into her recipes, I knew she wouldn’t turn me down. As expected, her sponge cake recipe, was THE perfect vehicle for the milk mixture. It is impossibly light with tremendous amount of holes that soaks in as much milk mixture as any cake can possibly can without falling apart. Cake down, now onto the milk mixture. Almost all Tres Leches cake recipes call for a combination of heavy cream (sometimes half & half or milk), evaporated milk and sweetened condensed milk. So it was a matter using the right amount. I took a cue from Rose’s recipe in that she uses 5 cups of milk that she cooks down with a little sugar until reduced to 2 1/2 cups, along 1 cup heavy cream and a little over a cup of condensed milk. So I kept the sweetened condensed milk and heavy cream amounts the same, but skipped the step of reducing the milk because it was essentially the same as opening a can of evaporated milk. So I went with 2 1/2 cups of evaporated milk, which is the amount of the reduced milk that Rose called for. 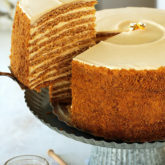 The evaporated milk has a really nice caramel-y flavor that adds a sophisticated dimension to the cake. With a whopping 4 2/3 cups of liquid going into the cake, I’m aware that the amount of milk is more than most recipes out there, but trust me, this type of sponge cake handle it. The frosting was the easiest part of developing this recipe, because I had made it so many times in the past for other desserts. 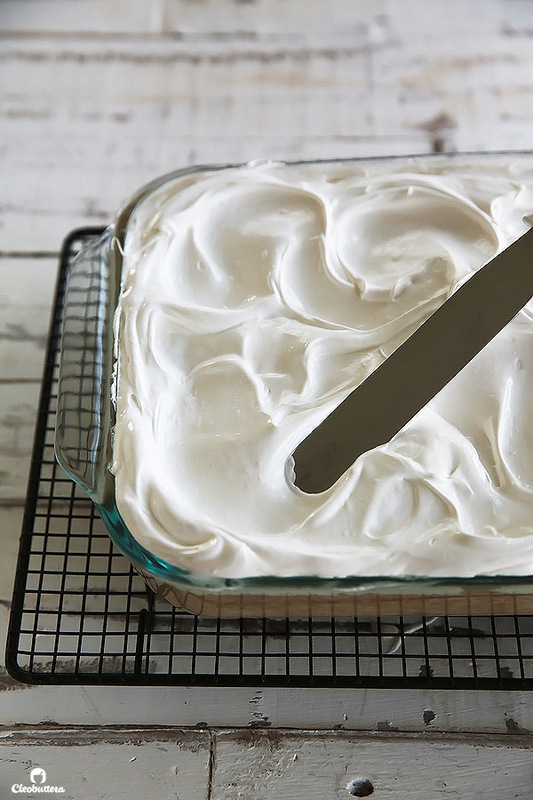 This frosting is also known as meringue frosting and 7 minute frosting. Most recipes for Tres Leches cake use whipped cream for the topping, but several versions use this one. Even better, in my opinion. It has a cloudy, billowy texture that is very similar to marshmallow fluff and actually tastes like marshmallows. Right before serving, we toast it just like we would with marshmallows. It really puts the cake to the top! First things first: The cake. Six eggs go in with sugar, salt and vanilla (LOTS of vanilla, to get rid of any eggy flavor) and gets whisked. Then we set the bowl over a saucepan of simmering water. Make sure the water is not touching the bottom of the bowl; you don’t want to end up with sweet scrambled eggs. You’ll just continue whisking over the heat until the mixture is quite warm to the touch. And how do you know that? Yup! Stick that finger in there. Sorry. Remove the bowl from over the saucepan, and transfer to the mixer. Whip the heck out of it until it transforms completely like this. It will magically turn into this thick, frothy, very light in color mixture with 4X the volume. You’ll then sift in half the amount of a cornstarch/flour mixture right on top, carefully fold it in, then repeat with the other half. Scrape the cake batter into a sprayed pan with a piece of parchment in the bottom. Can you see all the bubbles in there? This is one bubbly cake! Its what will hold in all the milk mixture later on. Once baked, and while still very hot, invert the cake onto a wire rack, then keeping the parchment in place, flip once again onto another wire rack so the golden crust is facing up. Like so. Allow the cake to cool completely. 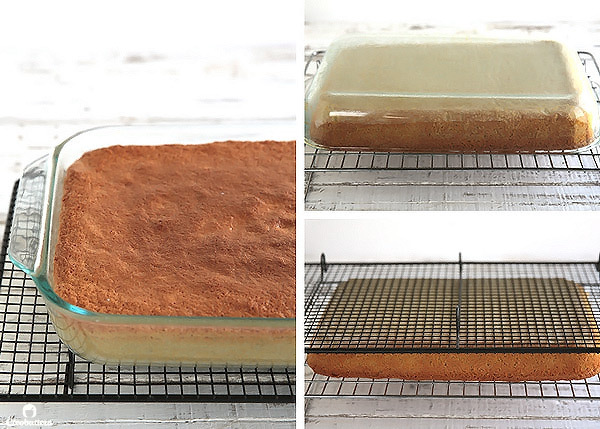 Because this cake is mostly air, you’ll be surprised at how fast it will cool. Once cooled, use a serrated knife to peel off the golden crust. This will expose all the holes that will drink all the milk mixture. Speaking of milk mixture. Combine together the condensed milk, evaporated milk and heavy cream and try you’re best not to not to drink it. Because you’ll be tempted to. See all the holes in the cake? It really does look like a sponge. Now slowly drizzle the milk mixture all over the cake. Then cover and refrigerate for 8 hours to overnight. Then when you’re ready to eat, take it out, and let sit there (to take the chill out a bit) until you prepare the frosting. For the frosting, you’ll combine egg whites, sugar, cream of tartar and salt in bowl set over a saucepan of simmering water. Again make sure that the bottom of the bowl is not touching the water, or that could cook the egg whites. Keep whisking until warm to the touch and all the sugar granules have dissolved. Heating the egg whites, ensures that they reach a certain temperature which makes them safe to eat and also more stable. You’ll know when it no longer feels grainy when rubbed between your fingers. Once that happens, remove from the saucepan and transfer to the mixer and whippyyyyyyy! 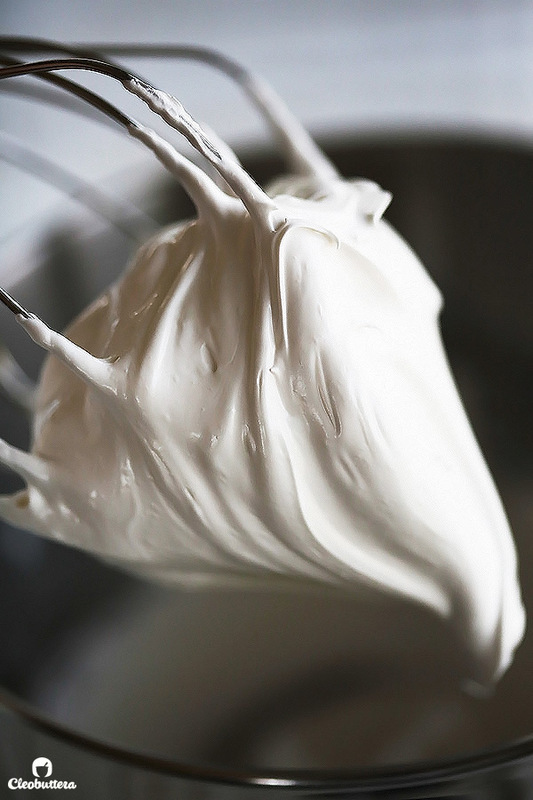 In a matter of a few minutes, it will turn from sad, wimpy egg whites, into this glorious marshmallowy frosting! You’ll want to lick it off the beater. Its ok…take a little…we’re human. 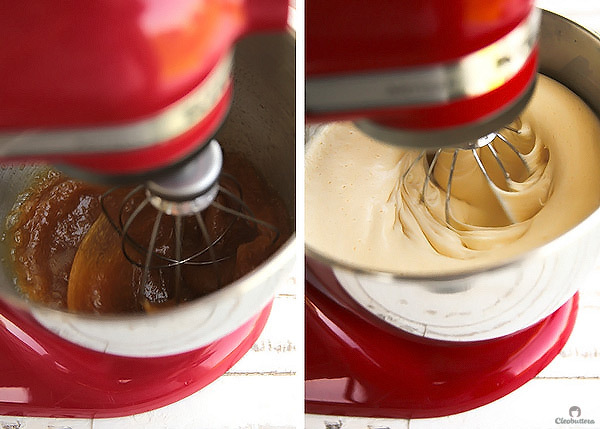 Spread this yumminess all of the cake making swirls and swoops. Then torch it until nice and golden brown. Don’t worry if you don’t have this kitchen gadget, the oven’s broiler will just do the trick. Details for that is down in the recipe box. Grab some plates, gather around and get ready to have a FIESTA! As the cake sits, it will exude some of the milk mixture. This is the part where you’ll want to lick the plate. Speaking from experience here. 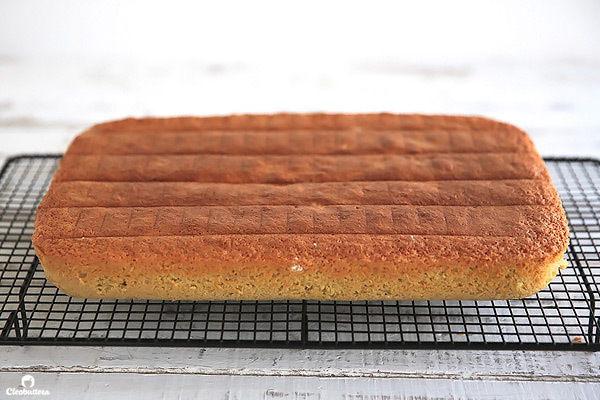 The beauty (or ugliness) of this cake, depending on how you look at it, is that its so light, that you could eat slice after slice without feeling full. My taste testers would relate to that. A light and airy sponge cake soaked and flavored with a delicious mixture of 3 milks; giving it a very creamy, pudding -like texture that is just irresistible. 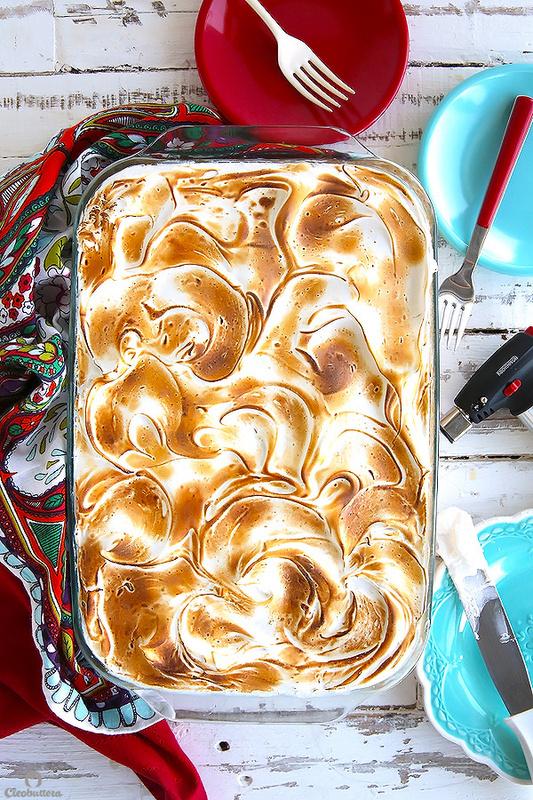 It is then crowned with a to-die-for toasted marshmallow frosting that takes it to a whole other level of deliciousness. For best flavor and texture, make this cake 1 day ahead, but frost right before serving. Adjust the oven rack to the lower third of the oven, and preheat the oven to 350F/180C. Coat a 13X9-inch baking pan with non-stick cooking spray (or grease and flour), then line the bottom of the pan with a rectangular piece of parchment paper, and spray this as well. Sift the cornstarch and flour together in a medium bowl, and set aside. 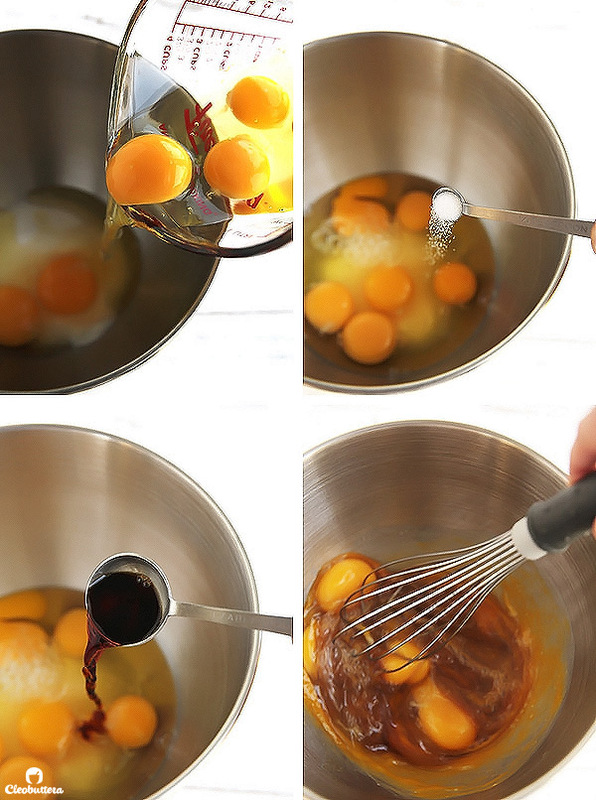 In the bowl of a stand mixer, using a handheld wire whisk, combine together the eggs, sugar, vanilla and salt. Set the bowl over a saucepan of simmering water (make sure the bottom of the bowl is not touching the water or the eggs could scramble). Heat, stirring constantly, until quite warm to the touch but not hot. Immediately remove from the saucepan and transfer to the stand mixer fitted with the whisk attachment. Beat the mixture on high speed until very thick, frothy, has dramatically lightened in color, and quadrupled in volume; about 5 minutes. 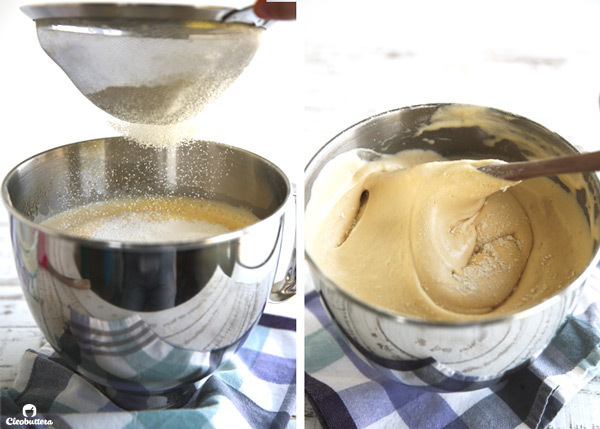 In a 5-quart mixer bowl, it will come to about three-quarter high. When the beating is complete, sift half of the flour mixture onto the beaten eggs. With a silicon spatula, gently but rapidly, fold in the flour mixture until mostly incorporated. 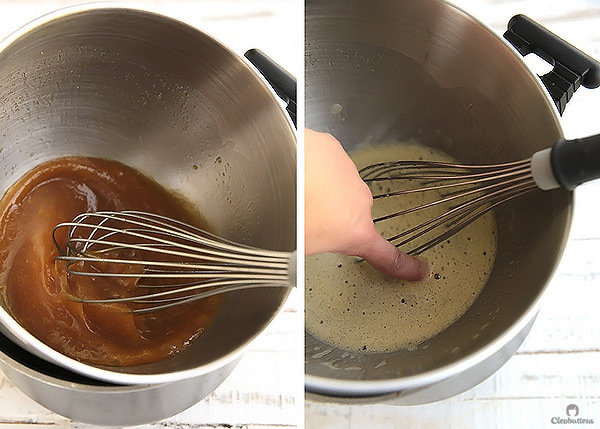 Be careful not to deflate all the air that has been whipped into the mixture. Repeat with the remaining flour mixture until no flour pockets remain and has disappeared completely. 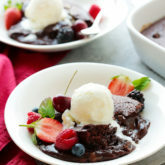 Pour the cake batter into the prepared pan and bake until deep golden brown and a toothpick inserted in the center comes out clean, 25 to 35 minutes. 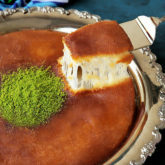 To prevent the collapse of the cake's delicate foam structure, it MUST be unmolded while still hot, as soon as its baked. So immediately run a knife between the sides of the pan and the cake, pressing firmly against the pan. Unmold right away onto a wire rack, leaving the parchment in place, then reinvent onto another wire rack, golden side up. Allow to cool completely. When cool prepare the milk mixture. 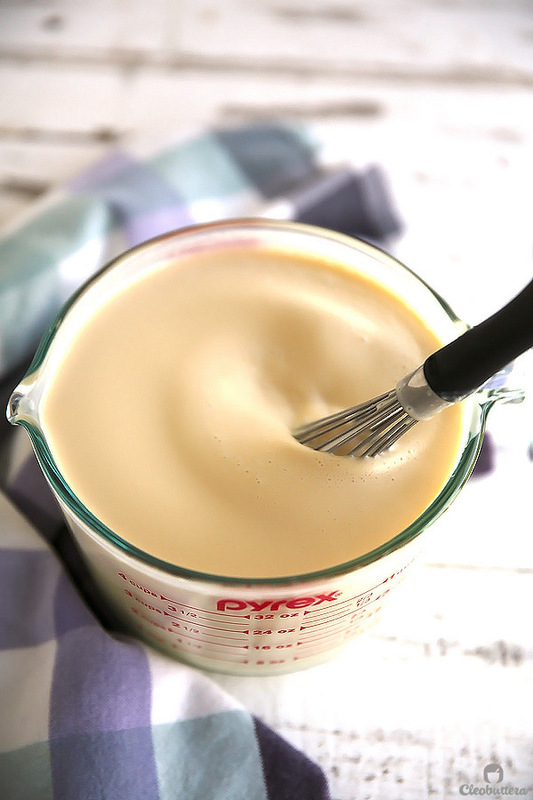 In a large (2 quart/ 1 liter) measuring cup with a spout, whisk together the evaporated milk, sweetened condensed milk and heavy cream until well combined and smooth. 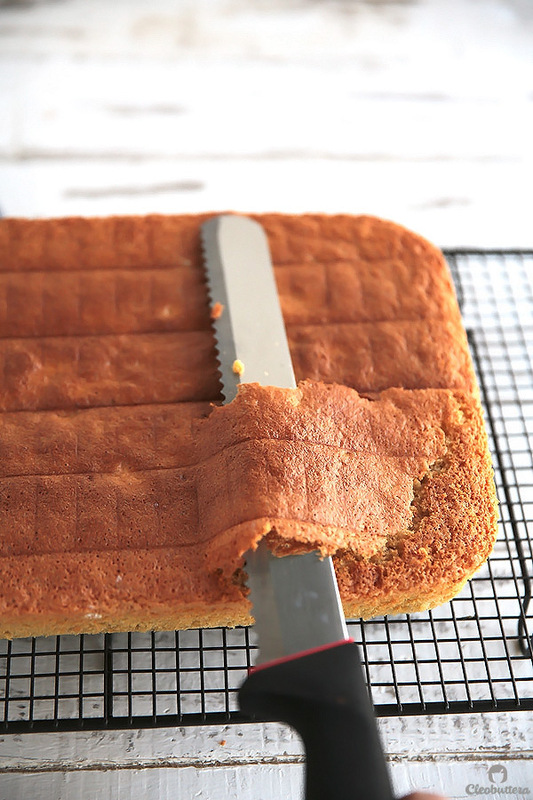 Using a serrated knife, remove the upper crust of the cake, peeling it completely to reveal all the holes, without removing any of the cake beneath it. Invert the cake to the other side and remove the parchment. 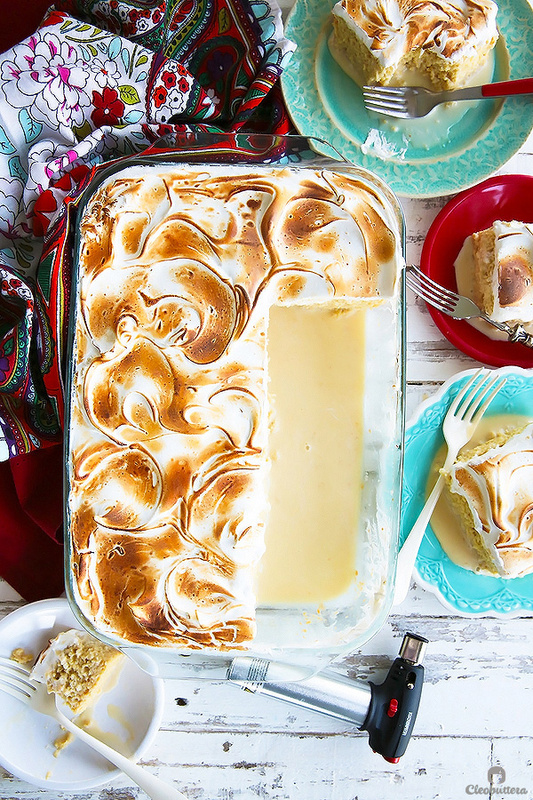 Reinvent the cake back into the baking dish. Slowly pour the milk mixture over the cake until completely absorbed. Cover tightly with plastic wrap and refrigerate for at least 8 hours or even better overnight. When ready to serve, take the cake out of the fridge for at least 30 minutes to take the chill out of it , and prepare the frosting. 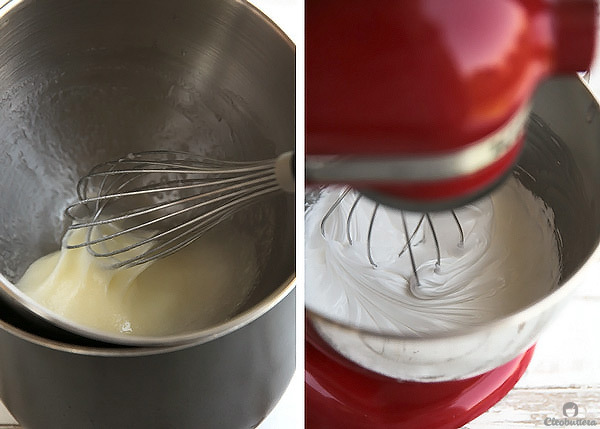 Wipe the bowl of a stand mixer with a little lemon juice to remove any traces of grease. Put the egg whites, sugar, cream of tartar (if using) and salt into the bowl. 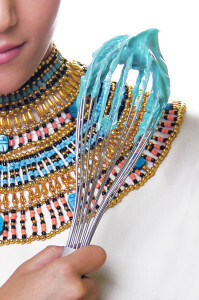 Using a handheld wire whisk, combine together. Set the bowl over a saucepan of simmering water (make sure the bottom of the bowl is not touching the bowl or the egg whites could cook). Heat, stirring constantly, until quite warm to the touch but not hot, the sugar granulates have completely dissolved and no longer feels grainy when you rub it between your fingers; 7 to 9 minutes. A food thermometer should register 130F/54C, if you're so keen to measure. Remove the bowl from the saucepan and transfer to the stand mixer fitted with the whisk attachment. Beat on high speed until very thick, stark white and glossy, holds a soft peak and is no longer warm. 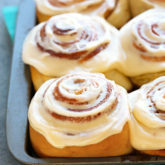 The frosting is best used right away, but will keep well covered at room temperature for up to 1 hour. 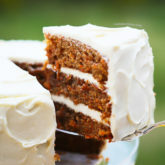 Using a spatula, spread the frosting all over the surface of the cake to cover. 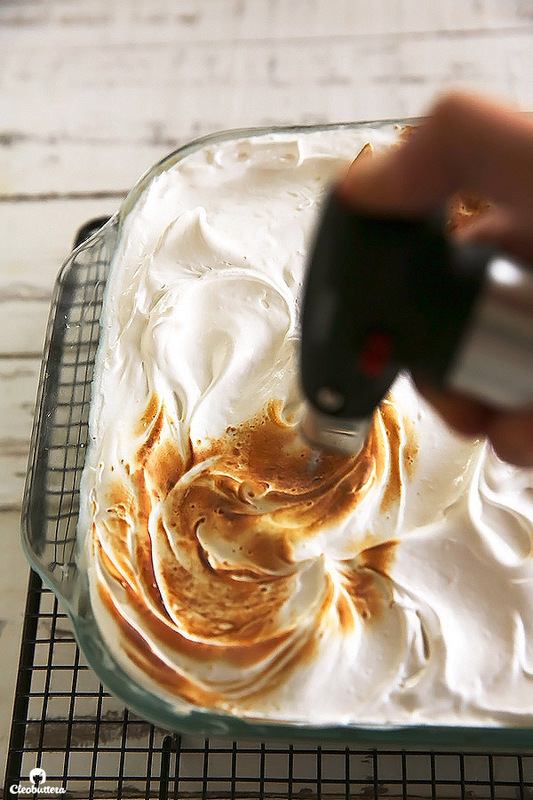 Using a spoon or an offset spatula, make swirls and swoops on the frosting. 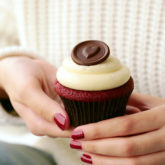 Using a kitchen torch, toast the frosting until it reaches the desired color of brown. Alternatively, if a kitchen torch is not available, place the pan under the oven's broiler until browned. Keep a close eye on it, as to not let it burn. 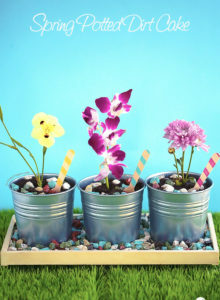 If desired, individual servings of cake can be frosted and torched one piece at a time, allowing for freshly torched cake, whenever its needed, and also for a pretty presentation. Cut into squares and serve cold or at room temperature; I personally prefer it somewhere in between, leaning towards room temperature. The cake is best eaten on the same day. Store leftovers covered in the fridge. Pure vanilla extract, which contains alcohol, has a stronger vanilla flavor than imitation or alcohol-free vanilla flavorings. Therefore, doubling up the amount is necessary if using the alcohol-free vanilla to mask any unwanted eggy flavor. I tried both Trader Joe's Pure Vanilla Flavor and Parade Imitation Vanilla extract in this recipe, which are both alcohol-free, with great results. 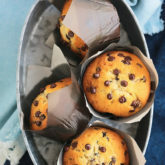 2 cups (7oz/ 200g) cake flour can be substituted for the corn flour and all-purpose flour combination. 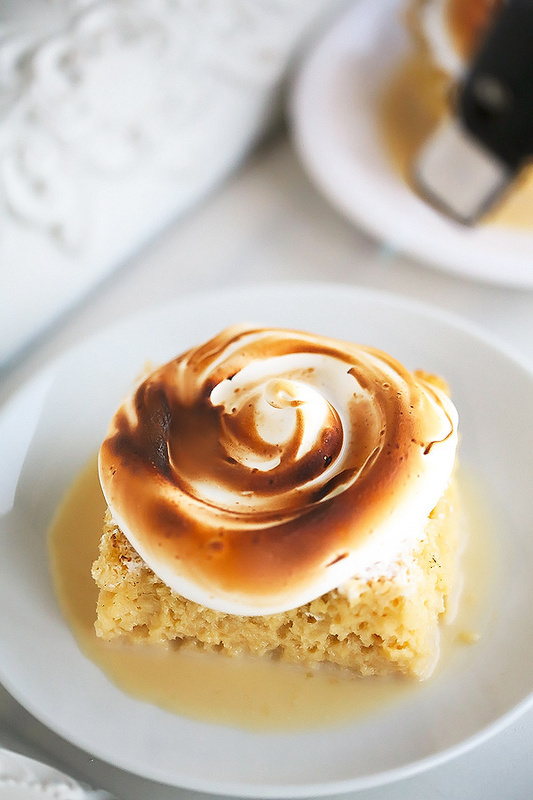 While we prefer our tres leches extra moist with plenty of milk sauce and a pudding-y texture just the way it is, feel free to cut the amount of evaporated milk in half, if you prefer a less saturated cake. This recipe halves beautifully if you don't want a big serving. 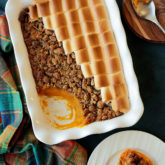 Bake in an 8X8-inch baking pan. Wow. 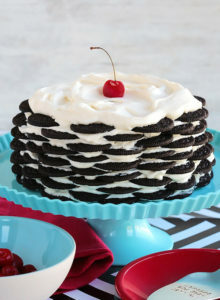 I’ve never considered making this cake, because of the “sogginess”. I would’ve never have thought about trying it too if it wasn’t for that delicious one at the restaurant. I’m now a convert. It’s still a very saturated & moist cake by in a good, saucy way. Girrrrlllll!!!! This cake killed me over on instagram and now just for extra torture, I’ve come over here to see more…. I don’t want the celery I’m eating anymore. I.want.cake! It looks so sinful and just yum! This is exactly how I feel whenever I read your posts:))) I don’t why, but I’m always munching on something boring like cucumbers and cantaloupes when I’m looking at all your sinful churro, Nutella & French toast creations. I could almost shed a tear. Hey Robin! Thanks for stopping by:) I ate so many tres leches in the past 6 weeks too because of all the testing, but that topping keeps getting me excited for more. beautiful. just beautiful. the post, the photography and of course, the cake. I may need to give it a go! Thank you! 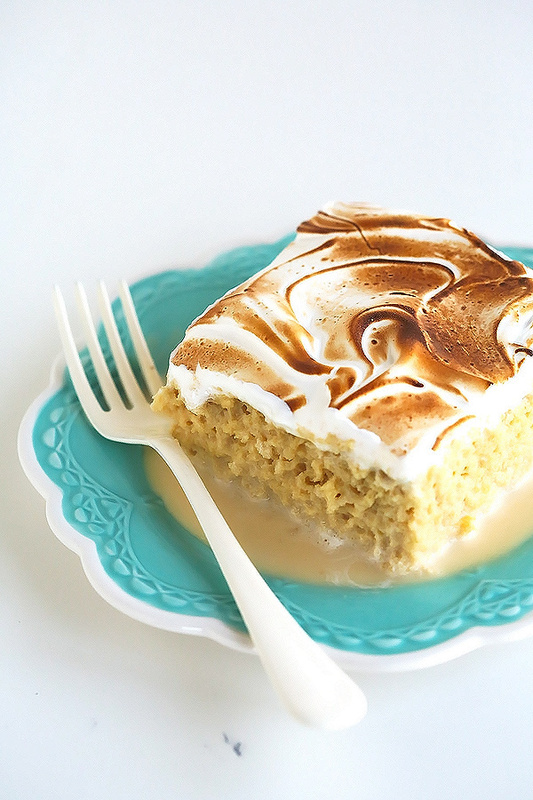 After seeing your take on the fudgy brownies, I’m certain you’d make one heck of a tres leches cake. I was drooling all over your brownies. jazakillah khair but all credit goes to you. I’m actually tempted to bake this for Eid this year. think it will go down well. 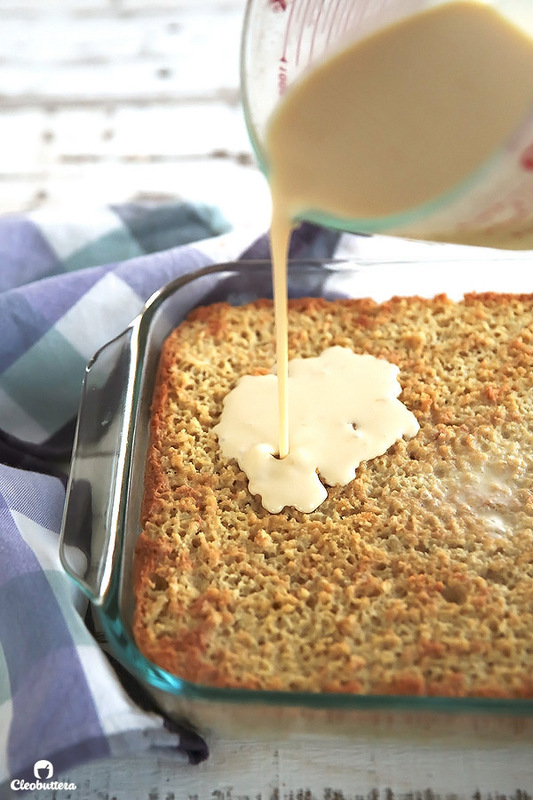 The condensed milk & evaporated milk just add tons of flavor to it. It’s a really different & new taste experience to me, but I couldn’t be more in love. I’ve been searching for a recipe to take my new stand mixer for a test drive and I think this is it! Will let you know how it turns out. From where can i get evaporated milk? It’s available at almost any supermarket like Metro, Carrefour, Seoudi, Royal House. You’ll find it beside the condensed milk. You should be able to find it at most supermarkets like Metro, Carrefour, Seoudi, etc. It’s sold right next to the condensed milk. Can I put big marshmallows on top instead if the marshamallow frosting.. I know it’s not the same and it’s so lazy of me but I love the texture and flavour of roasted marshmallows ???????? You sure can! I love roasted marshmallows too! Just be sure to arrange and roast the marshmallows right before serving because they tend to harden after a while. I did it the same exact way you described in your recipe and got OUTSTANDING results, both taste and look 🙂 The cake was so yummy, juicy, and the marshmallow frosting was a big success, though it was my very first attempt! I tagged you on instagram, please check it! I just have on question; Can, by anyway, the sugar level in the milk mixture be reduced? All my family members said it was tasty, only needs much less sugar. Can i reduce the condensed milk to half portion? As this was the ingredient with the highest sugar content. Hoda! I’m so excited that you made it and love it! Thank you for giving me your feedback. I wish I could see your photo on instagram but I can’t see anything on private account accounts, even if I’m tagged in it. I would love it if you’d send it me through a direct message on instagram! Now concerning the sweetness, it definitely falls on the sweet side. 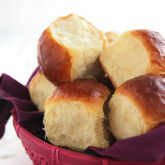 To satisfy your family’s taste palate, you could most definitely adjust the sweetness to suit them. As you said, sweetened condensed milk is the only ingredient of the 3 milks that contains a considerable amount of sugar. If you like, you could substitute half its amount with evaporated milk. 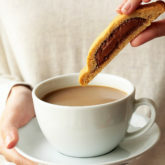 Keep in mind though, that this substitution will change the consistency of the milk mixture, making it slightly thinner. Yaaaaay! I’m really happy you liked it! 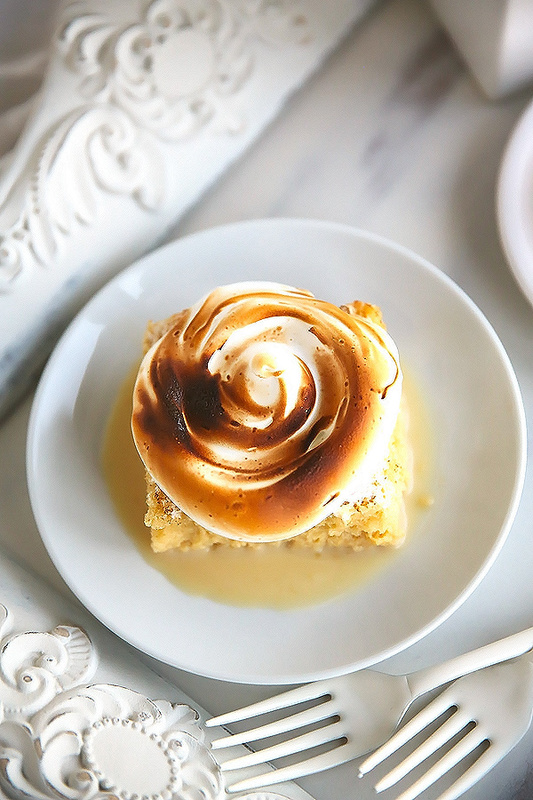 Actually whipped cream is very traditional for Tres Leches Cake, so you’ve made the perfect decision. Amazing as usual! Absolutely perfect, light and so FLUFFAAYY! It was a jawdropper, especially that no one really understood what it was! Gobbled in minutes!! Hahaaaa 😀 It’s so FLUFFAAYY I’M GONNA DIE!!! Just always makes me laugh. I’m so excited that everyone loved it; always the best thing to hear! Thank you so much Aliaa for your feedback. I tried your recipe and it was absolutely amazing, I did lick the plate. But where can I get cream of tartar? Yaaaaay Norhan! So happy to hear that👏🏼👏🏼👏🏼 I’ve been craving this cake for several days now, I think it’s time for me to make it again. You might be able to find cream of tartar at Petro in Mohandiseen but give them a call first to make sure. Here’s their number: 02 3345 0073 & 0122 3706121. I made it, we just loved it n devoured every bit of it!! That’s amazing news Saniya! I’m so happy you guys liked it. I haven’t made this in a long time and you just reminded me of how much I miss it. I’m so happy to hear it was a hit Asmaa! Don’t worry the frosting will stay good and stable for several hours. As long as you eat it the same day, then it should be fine. You can finish the whole thing at home (frosting & torching) just before leaving the house, then take it with you. can i use whole milk instead of heavy cream ? i know it will make it less luxerious but is it possible ? Hi Basmmallah! I agree with you, the sauce will definitely turn out less luxurious and creamy, but it will work. Keep in mind that it will also turn out thinner which could make the cake soggier than it should. I’d totally recommend sticking with heavy cream if possible. Im surprised nobody has mentioned your ingredient listing’s quantity of evaporated milk is actually three completely different amounts – 20oz, 24oz & 30oz. I did not discover this, unfortunately, until my cake was cooling and I needed to make the milk mix. This was my first Tres Leche cake attempt and I was not going to guess evap milk amount so I made milk mix from recipe I’d found before discovering yours. Big mistake – it was AWFUL, ruined the cake. Instead of evap milk, it had cream of coconut. Milk mix end up sickingly sweet. I completely see how evap milk is better choice. I’d have been better off guessing your amount of evap milk. Sponge cake was great! I snacked on the upper crust I had removed, delish! Marshmellow -perfect!! Its what brought me to your page. Hate seeing Tres Leche with heavym overly sweet frosting. Which is the amount of evap milk you decided on? Oh my goodness…I don’t know how to apologize for this mistake. Thank you so much for bringing this to my attention. I just went over the recipe and turns out you’re totally right about the discrepancy in the measurements. It was a terrible terrible typo, and thanks to you, I just fixed it. Again please accept apologies if my mistake led you to ruin the cake. 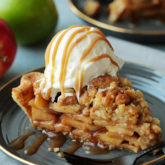 I hope you get a chance to make it again (the right way) this time around and enjoy every bite of it because it really is amazing and not too sweet at all. I appreciate your updating. To be fair, the recipe I was originally on track to make had that too sweet milk mix I used but even worse, with a recipe that had sugary sweet heavy frosting and on top of it all, I was actually just going to use a boxed cake mix. 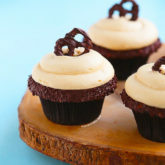 I was only looking for an alternative to weighty frosting when I read thru your steps and realized I could do this entire recipe, no shortcuts :D! So please accept MY thanks – I was so fortunate to come across your posting and am so grateful for you research and your resulting recipe. At least I had a practice run to make the cake which came out perfectly sponge-y absorbent and the meringue, so delightfully light to compliment to the dense saturated cake. Gave me the confidence to certainly be remaking this again with your milk mix and likely again and again. CleoB plzzz help!! I tried making this lovely recipe EXACTLY how you showed but something horribly went wrong when I added flour to the egg mixture and it deflated into a thick paste and the end result was definitely not a sponge!! I’m not a newbie when it comes to baking still I have no idea where’s the mistake. I did very lightly fold the flour in though. I have a few questions….for how much time did u heat the egg mixture?? And the beating time?? Did u beat it till the ribbon stage?? I really want to eat this mouthwatering dessert which I found the best of its kind after probably searching the whole internet!! B’coz no other recipe has THAT kind of porous sponge!! I will try this again n again until I nail it like you did!! Regards. Hello dear! Sorry your cake deflated on you. Glad you asked these questions today, because I just made this cake yesterday for a videoshoot, which means I remember it so well like it was literally yesterday lol! Ok…I heated the mixture until very warm; a couple hairs before it starts feeling hot. That took about 3-5 minutes. You also want to make sure that the sugar has completely dissolved in there. Oh also…were your eggs at room temperature? As for beating the mixture, it took me exactly 5 minutes. I know that because I actually set a timer. It doesn’t really ribbon because the structure of the batter is very foamy and so it will never really ribbon. I basically beat the heck out of it until it turns super pale in color, is very foamy (as in it will literally make foam sound) and quadruples in volume. Also note that for the video shoot (which will be coming early May) I used an electric hand mixer, whereas here in the blog post, I used a standmixer, so both work just as well. After that, you need to be very gentle with folding the flour in. If you beat it too vigorously, all the air that got whipped into it will be lost. Wishing you much better luck next time. Can i bake this plain but with strawberries in top?? 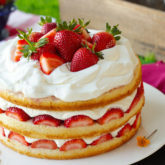 If i want to change the topping to strawberry flavoured, i dont have to change anything in the cake recipe correct? There’s nothing I love hearing more than that you’re having success with my recipes. It’s what drives me to keep going. Thank you so much for your wonderful update and kind words. I couldn’t resist to bake this, it is super delicious, I’m from Mexico so I really know the taste of this cake and you nailed it!!! We usually put peaches or strawberries in the middle, sometimes we also add rompope or cajeta, just to give you some ideas! Oh wow that the biggest compliment coming from a Mexican. I could die happy now lol! Thank you so much for trusting me with a recipe from your country enough to try it. Cajeta sounds right up my alley and something I can’t wait to try. I can’t find evaporated milk. Can I do it by boiling milk till it reduce in volume or do you recommend any other method? If I want the milk portion to be almost equivalent to the one in tabla Luna. How much should I reduce the milk mixture on the recipe? 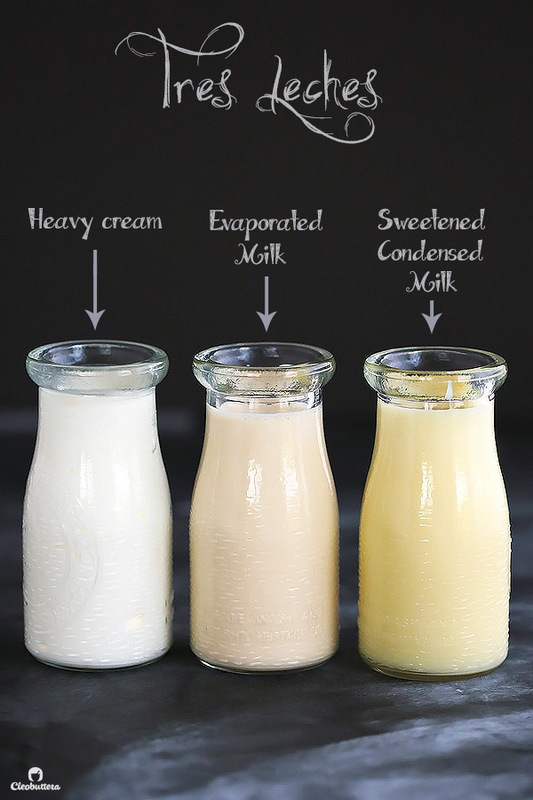 To make homemade evaporated milk, combine 2 1/2 cups skim milk with 2 1/2 cups whole milk and 1 1/2 tablespoons sugar in a medium heavy bottomed saucepan and boil over medium heat until reduced by half (2 1/2). This recipe has just about the same amount of milk mixture as Tabla Luna. Great blog you have here, I truly enjoyed reading through them. Since you mentioned Rose’s recipe in this post I have a related question. 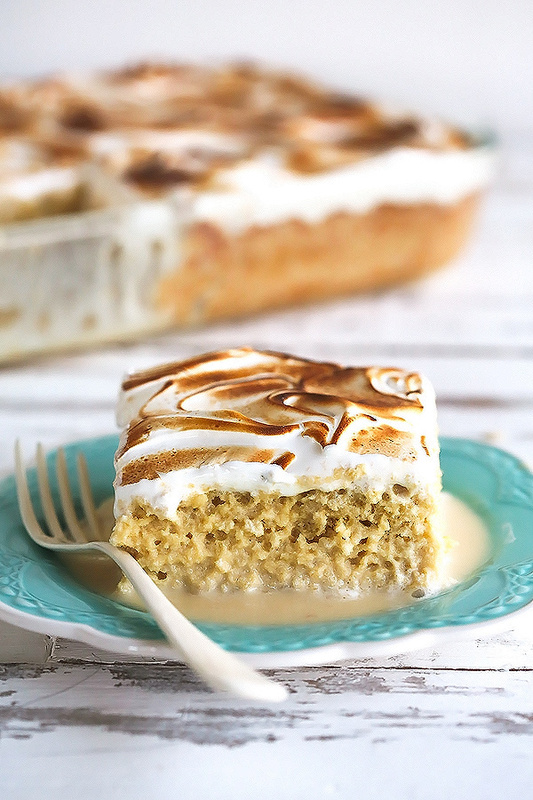 Have you ever tried using her Biscuit de Savoie as the base cake for Tres Leches cake? I only have her The Cake Bible which doesn’t have a recipe for Tres Leches cake and out all the recipes she has in Cake Bible, it sounded as though Biscuit de Savoie is the best bet for Tres Leches cake. Your thoughts? Hi Preethi! Thank you for your kind words; I’m so flattered that you’re enjoying the blog. You’re so clever I must say, because this is actually a rendition of Rose’s original Biscuit de Savoie 😄 She refers to it in the book as “the biscuit.” So you’re absolutely right…it does make the perfect base for Tres Leches! Thank you for your quick response! I can’t wait to try both recipes and see which one is better 🙂 I have bookmarked so many of your recipes to try, it’s going to be a busy summer for the oven! Hello Tasbih! I’ve been following you on Instagram for a quite a few months now and tried a few of your recipes the sticky toffee pudding cake being my fave! I followed your recipe for the tres leche cake to the t and although the flavor was good my cake had a bread like texture instead of a cakey texture. I’m not sure where I went wrong but maybe you would have an idea? Thanks in advance. Hi Rasha! Thank you so much for following and baking along. 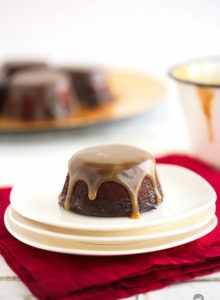 That sticky toffee pudding is high up there in my favorite desserts too! I’d love to help you troubleshoot this cake, but may I please know if you’ve whipped the egg mixture until super foamy and quadrupled in volume? 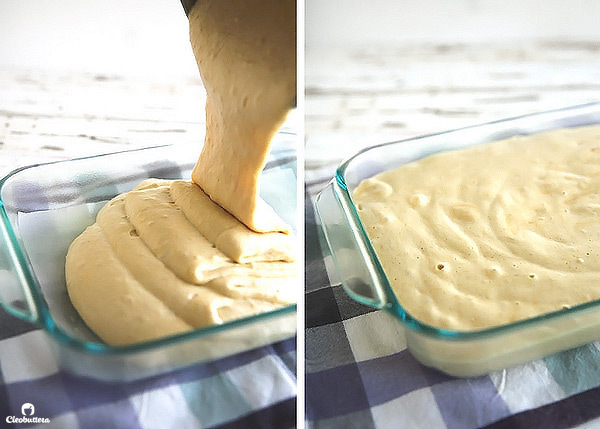 This step, as well as the gentle folding of flour, as to not deflate the air that’s been whipped into it, are the most important tricks towards getting a super airy cake; without them, the cake will turn out squat and dense and might not even absorb the milk mixture. How did the cake come out of the oven? Did it have a good rise and have many holes in it? Did it absorb the milk mixture well? Yes I whipped the eggs until it looked just like the picture! When I tried folding in the flour it wasn’t absorbing into the egg mixture it kept falling to the bottom of the mixing bowl and once I finally got it folded in the texture of the batter was really thick and once backed it didn’t rise that much but there was holes in the cake and it absorbed all the milk mixture but was still a bit dense and had a bread like texture. Oh Rasha! I wish I was with you in the kitchen to know exactly what went wrong, but it seems that the culprit was the flour folding step. From your description, it seems that the air that was whipped into the mixture got deflated while folding in the flour, which resulted in the bread-y texture you’ve experienced. To prevent this from happening, make sure to sift the flour into the egg mixture in 2 parts, then fold very gently and patiently, so as not to disrupt the egg bubbles. Wishing you better luck next time!